Cross over techniques fly fishing for trout include many methods for practically all aspects of fly casting, line retrieval and fly patterns. Many various opinions on social media these days in regards to the sport of fly fishing. It is not surprising that it comes from being somewhat ironic with elitist views on fly fishing. Evidence of this can be seen all over the internet with opinions like a suspension device (a.k.a. bobber) is not really fly fishing. Many reviews lately in regards to Tenkara not being fly fishing. There are very strong opinions on each and every aspect today in regards to nymphs, wets, streamers, and dry flies! There are more books on one of the most literate sports out there almost daily. Things tend to come full circle and keep repeating the same things over time with much of the media outlets. These strong viewpoints are not assisting bringing the fly fishing community together. The resource is not getting any larger so really it all boils down to everyone getting along. All of these various methods have a place in your arsenal when the time is right. I read an article earlier this morning that implied Tenkara is not really fly casting. Tenkara goes back to the early years of the sport with a fixed distance of line just like the simplicity that Dame Juliana used in the first book published about fly fishing. It actually does incorporate fly casting into whatever techniques you choose to implement. It is a great place to start for kids as well since they do not have the bother of line control. Most important though it gets things back to basics where the anglers control is at its highest level! To steal a quote from my friend Joe Humphrey which states “implementing the proper fundamentals in the proper sequence is the perfect technique”. Or stated another way means fish at your highest level of control. Young kids these days are all about Euro nymphing techniques. As stated before things just repeat themselves for the media to have something perceived NEW! Even most of these from what I can tell differentiate little from the years of anglers in the early 70’s using colored Amnesia for strike detection short line nymph fishing. Monofilament helps eliminate line sag. Even in the 70’s many anglers scoffed at such a technique in that fly fishing to them meant only dry fly fishing. You see this elitism has been around for as long as I remember. Indicators have there place as well in big water for the best results. The advantage is that you can fish further away and achieve much longer overall drifts. One of the crutches here in the states is that they are overused for sure by most anglers. 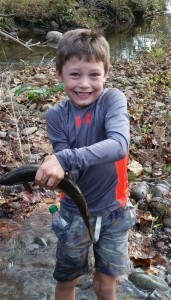 It occurs here in Western NC throughout the guide season in the spring and fall. We have opportunistic feeding mostly here-fish are not all that picky about what they eat. The amount of pressure is greater today on streams across the globe than ever before. When water is low and clear the bobber plan is not among the best choice. Streamer fishing has changed dramatically over the past decade due to various synthetic materials. Is it better now or different than the past few decades? Absolutely not! Streamer fishing is either a great choice for the right feeding behavior or you had better abandon it quickly. Fish either are in a chasing mood or they are not. Especially the really big ones. One thing most important about becoming a really good streamer fisherman is adjusting the rate of retrieval for the conditions at hand. Also when you grid off various areas to cover with a streamer you need to work those grids methodically and cover them all. Keeping the rod tip low to the water for the best contact with the fly. Taking an unweighted streamer and floating it on the surface can often time be productive. The crossover technique could be fishing a dry fly drag free method with a streamer. Wet fly fishing tends to be last on the list for most anglers across the United States. Not quite sure either, as it is one of the oldest methods in our sport. A wet fly can be fished in all directions on the stream. You can float them on the surface for a very different ride on top of the currents. They can be sunk like a nymph and hand retrieved to likely fish locations. Large patterns can be fished basically the same as streamers. Most all of the techniques mentioned that we use on the water can all be crossover techniques. Dry flies can be sunk and swung like a wet fly! In other words, you do not have to be fishing only wet flies to use the technique. Just last week we used small pheasant tail nymphs for swinging into rising fish with great results. 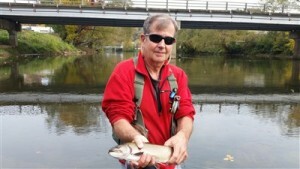 Instructional fly fishing lessons in Bryson City, NC await you for trout fishing! Dry fly is often touted as the ultimate technique by many which are just another form of elitism. We have all heard about this as dry fly snobbery. This in part is because it tends to take the most years to develop at getting great line control at a distance. It is true that to get great drag free floats at distance tends to be difficult for new anglers. This does not have to be the case always though because often times fish want movement on the surface. How many times have you taken three wet flies and floated them on the surface? This can be very productive at times during a hatch for some fast and furious fly fishing. The crossover of techniques is often the best method for the day. The opportunities are many when you think of the essentials of various techniques. Hopefully crossing over with more creativity helps you with your time out on the stream. We have all heard folks over the years say that the bite was off on their favorite river at times. More often than not I would say that folks missed the boat for adjusting to the mood of the fish that day rather than the fish were not eating. Sure some days are slower than others but usually, if you keep playing around with these crossover techniques you will get the greater pleasure of the tug with a fish on. Happy fishing to you during these colder winter months!